Will SunTrust Park change its name after merger? SunTrust Bank announced Thursday it would merge with Southern regional bank BB&T, making them the sixth-largest bank in America. COBB COUNTY, Ga. — Southern regional banks BB&T and SunTrust are combining in an all-stock deal to create a new bank valued at about $66 billion -- leaving many wondering what's next for SunTrust Park, home of the Atlanta Braves. A SunTrust spokesperson said the merger does not change the company’s commitment to the Cobb County stadium, home to the Atlanta Braves. 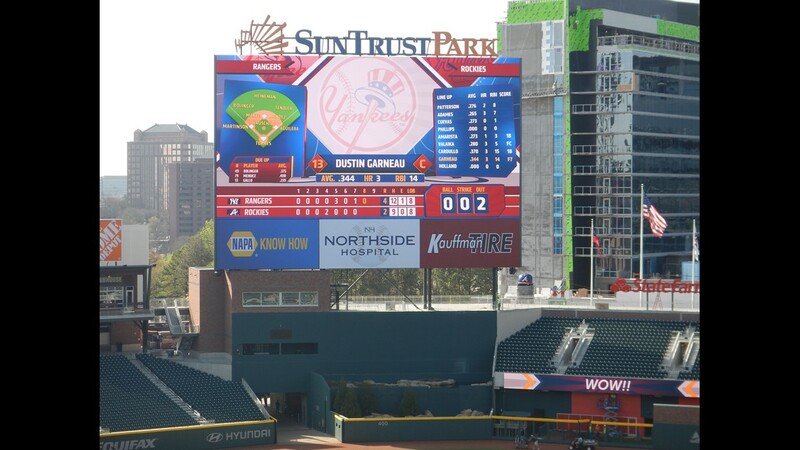 Back in 2014, SunTrust signed a 25-year agreement giving it marquee signage, as well as additional signage and promotional opportunities at the 41,000-seat stadium. The park opened in 2017. BB&T holds the naming rights to more than a half-dozen sporting facilities in Florida, Kentucky, North Carolina and Pennsylvania.